Since the dawn of file formats and data management, there has always been a need for quality converters to manipulate different sorts of file types. One format that has been giving trouble to its users from day 1 is PDF, or Portable Document Format. Why are PDFs so tricky? Several reasons: PDFs are not searchable, which means that the content that is inside is worthless if you have 600 pages of a law book or a contract or some other text rich article saved as PDF. You probably won’t have the time or patience to read through that much text in order to find a certain paragraph or a whole page for that matter. Secondly: PDF files are not editable since they have a read-only function. What this means that even if you find the part of PDF you want, you cannot edit it. This has shown to be a major issue in many industries, so around the same time when the millennium bug hit the internet, many developers released the first versions of PDF converters. These bulky pieces of software were extremely useful, and 15 years later we have finally started to see apps and programs that can perfectly convert even the most complex PDFs. How to convert PDF to Word on iOS? Converting a file today is a much faster and easier process than it was a few years ago because today we have software with faster conversion engines, faster internet and mobile devices with faster processors. 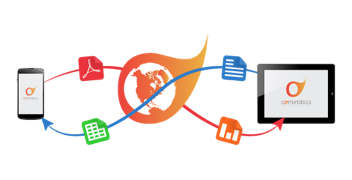 One such software is the mobile app PDF to Word by Cometdocs, which has a high quality OCR engine (Optical Character Recognition) that powers its conversion and allows its users to convert even the trickiest PDFs. With the major update that PDF to Word received in May this year, one of the biggest things is the implementation of integrated importing services. As their name says, these services help you import the files to the app in order to convert them. With them, you can choose files from your Gmail inbox, Dropbox, Google Drive and others. Since iOS doesn’t have a file browsing system, these services make accessing your files significantly easier than going through the process of looking for the data yourself. Once you select your desired services, all the PDFs you have inside will be listed one after another. Otherwise, you would have to go through all your emails and PDFs that you have stored who knows where. One thing that is very important to note is that this app doesn’t offer any kind of editing services, which means that you have to edit your files in a different app. MS Word is the logical app to use, however other apps can do the job just as well. Feel free to download and try out PDF to Word and convert some files yourself. 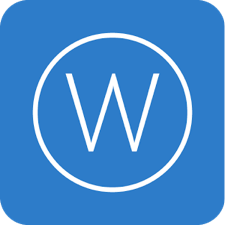 PDF to Word is free to download and it’s available on both iOS and Android, so don’t be afraid to give it a go, and make sure you rate it and leave a review for future users to know what kind of experience you had!